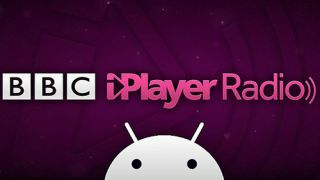 BBC releases Android app for iPlayer Radio | What Hi-Fi? The BBC has released an Android version of its iPlayer Radio app which has all the features of the existing iOS app, plus some additional ones. Writing on his BBC blog, James Simcock – BBC Radio executive producer for radio – says the app is now available for the first time on the Amazon Kindle Fire HD tablet. As well as delivering a wide range of radio shows to listen to live or via catch-up, iPlayer Radio for Android also has the following features:* Set the alarm and wake up with your favourite DJ or programme. • Spin through the touchscreen dial and listen live to the whole range of BBC Radio stations. • Swipe to reveal on-demand catch-up content and videos on every station page. • Set programme reminders to ensure you never miss favourite shows and add tracks to favourites. • Easily discover what tracks are playing and share with friends. "We will be introducing more content and features to the app over the year ahead," says Simcock. "This will include the ability to access full on-demand programmes from English local radio or the Nations stations."